Howdy y’all, are you ready for a Freeroll? It’s the end of summer indeed, and that means plenty of new chances to win, especially when you’re hanging with us at The Ranch! We’re seeing off the end of the season by celebrating our Trash-talking, Tackles & Touchdowns Freeroll Tournament on Pay Day, with a total $1500 prize pool to the Top 50 players! 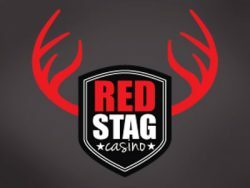 Entry is completely FREE and Re-buys are only $2.99, so you can’t afford not to join us for a beer and a few spins; there’s plenty of chances to make it to the top! Plus the Jackpot Max is a whopping $25,000, so don’t miss out! Remember, when you play with us on our ancient Egypt-themed slots from September 7th – 21st, you’ll triple your Comps! Take a spin on Ramesses Riches,Cleopatra’s Pyramid, and Last King of Egypt and see if you can hit the jackpot! Bonus , do not hesitate to get in touch if you have any questions or comments. Our friendly support team is here for you 24 hours a day, 7 days a week! Happy winnings and good luck!